Sunderland have offloaded a second fringe player to Blackburn Rovers after midfielder Jordi Gomez has moved to Ewood Park on loan. Black Cats striker Danny Graham joined Blackburn on a loan deal until the end of the season a fortnight ago and Gomez has now followed suit by joining the Championship outfit. Blackburn's bank balance has been boosted by the £11million sale of Jordan Rhodes and they have reinvested some of that money to bring in Gomez for the next four months. 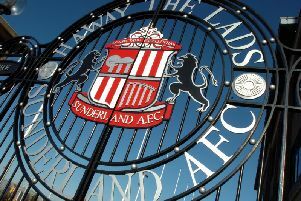 The Spaniard hasn't even been in the Sunderland matchday squad during 2016, with Sam Allardyce making it clear that the ex-Wigan man - who has another 18 months to run on his contract - was free to leave the Stadium of Light. "He hasn't played as much as he would like and would like more first-team football. "That's not here, it might be somewhere else."